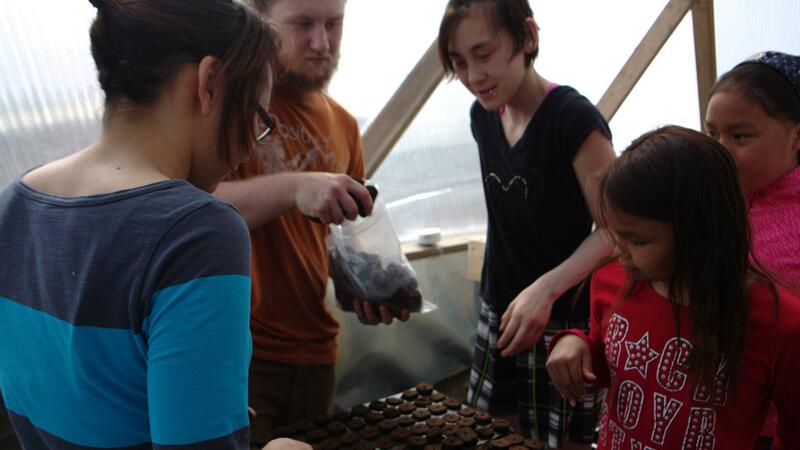 Growing North, an Enactus Ryerson group that grows food in a Nunavut greenhouse, is expanding into a second community. Last October, a group of Ryerson students began a project to tackle food insecurity in northern Canada by constructing a greenhouse in the town of Naujaat, Nunavut. This week, they will be expanding to Arviat, another Inuit community in Nunavut. “Expanding to an additional community this early on is something we didn’t expect but we’re really excited to be doing,” said Stefany Nieto, co-founder and co-project manager. For Thanksgiving, Nieto said the group is planning to work with the women’s collective to give back to Naujaat with various dishes. The collective was designed to empower Inuit women by providing for sustainable food and new livelihood opportunities. Growing North provides some of their fruits and vegetables to the women’s collective at no cost. The women use that produce to create traditional food which some then sell. Nieto said her team was inspired to take action after realizing how common food insecurity is in Northern Canada. A recent report by food insecurity research group PROOF states that about four million Canadians are affected by food insecurity. In 2012, food insecurity was at a record high in Nunavut with 45.2 per cent of people lacking sufficient access to affordable, nutritious food. In comparison, food insecurity in Ontario sat at 11.7 per cent. According to Mustafa Koç, Ryerson professor and co-founder of the Centre for Studies in Food Security, such high rates are unacceptable for an advanced, industrial country like Canada. “Access to land, traditional livelihoods, harvesting and food knowledge has been key for aboriginal peoples for transmitting their cultural values and skills to future generations. Sadly, despite Canada’s international commitments, food security initiatives were limited to income supplements or shipping highly processed foods to the aboriginal communities,” he said via email. In the past year, Growing North set up a co-op program with the local high school to provide education and help students graduate at a low cost. Nieto said that expansion is the group’s biggest focus right now. They are working on getting their foot through the door in the new community and starting the process of figuring what type of greenhouse would work best. “When we started this project, we didn’t think it would get this big but it has and we’re really excited to see it through,” she said.